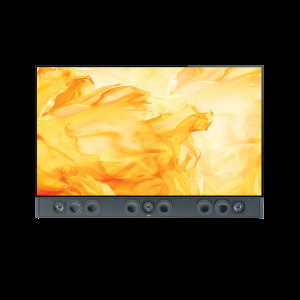 Custom-length speakers, built-to-spec from your exact measurements, delivering Paradigm high-performance sound, for the ultimate bespoke flat-panel TV installation—all Custom Crafted in Canada. 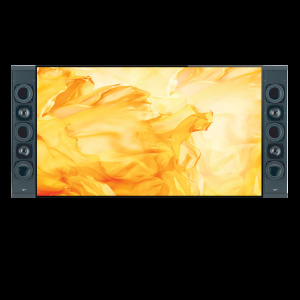 Décor allows aesthetics and performance to co-exist with bespoke speakers that offer the superior sound performance Paradigm is known for, while providing a visual cohesiveness with flat panel TVs that everyone aspires to have in their homes. Paradigm Décor Custom Collection loudspeakers are available in an array of driver formats, with up to three audio channels in a single enclosure. Use one, or combine them, to build a slim, stylish high performance audio system that’s tailored to the length and height of absolutely any television. 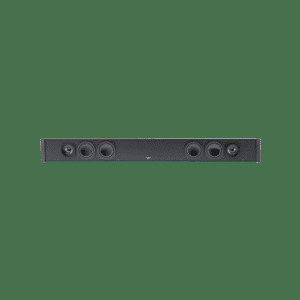 Décor speakers are available in both horizontal / sound bar and side-mounted / vertical configurations, with up to three audio channels in a single enclosure. 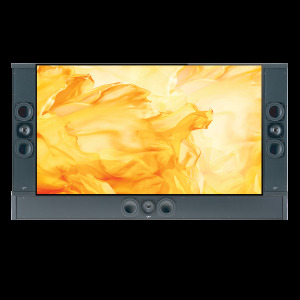 Speakers can be combined to create a slim, elegant, high performance audio system that is customized to the exact height and length of any wall-mounted, flat panel television. X-PAL™ Satin-Anodized Pure-Aluminum Dome Tweeters with exclusive Perforated Phase-Aligning (PPA™) Tweeter Lens, that protects the delicate pure-aluminum tweeter dome and acts as the Phase Plug, blocking out-of-phase frequencies for smoother, extended high frequencies with incredible detail and higher output. High-performance Anodized Unibody Bass/Midrange Cones with durable Nitrile-Butadiene Rubber Surrounds and specifically designed driver motor structure, featuring 1.5" high-temp voice coils and super-efficient shallow-depth extruded aluminum heatsinks, for a long life of high performance in the thinnest space. Rigid, resonance-free enclosures are constructed of anodized extruded aluminum with heavy-duty MDF baffles. Enclosures hang just 2-inches off wall (with grille), making Décor speakers one of the slimmest high performance speakers available. Connections for speaker wire are angled and recessed into the speaker enclosure along with an integrated wire management channel which eliminates wire pinching and allows the speaker to sit nearly flush against the wall. Some TVs have IR sensors, cameras, or logos at the bottom edge of the TV, preventing speakers from mounting perfectly flush. Paradigm can customize the grille to compensate for this “bump out” which allows for a perfectly flush aesthetic when installed next to the TV. Paradigm Décor speakers can be mounted three ways for installation flexibility. Fixed Wall Brackets provide a fast, easy means of wall mounting. While ideal for many TV panels, fixed wall brackets provide minimal adjustability and come in vertical and horizontal designs. Brackets are pre-attached—just position the wall brackets using the provided template and hang! For greater mounting flexibility, the Paradigm Décor Articulating Wall Bracket allows adjustments within millimeters forward, backward or sideways to ensure speakers are completely flush with ultra-slim televisions. The same Articulating Mounting bracket is used for vertical and horizontal mounting. Brackets are pre-attached to the speaker—just attach the “mate” to the wall using the provided wall template and hang! Horizontal and/or vertical rails make up the Décor Television Bracket. This mounting system allows you to combine any traditional TV mounting bracket (not provided) with our Décor Television Brackets. Get the perfect fit with no gaps between TV and speakers! 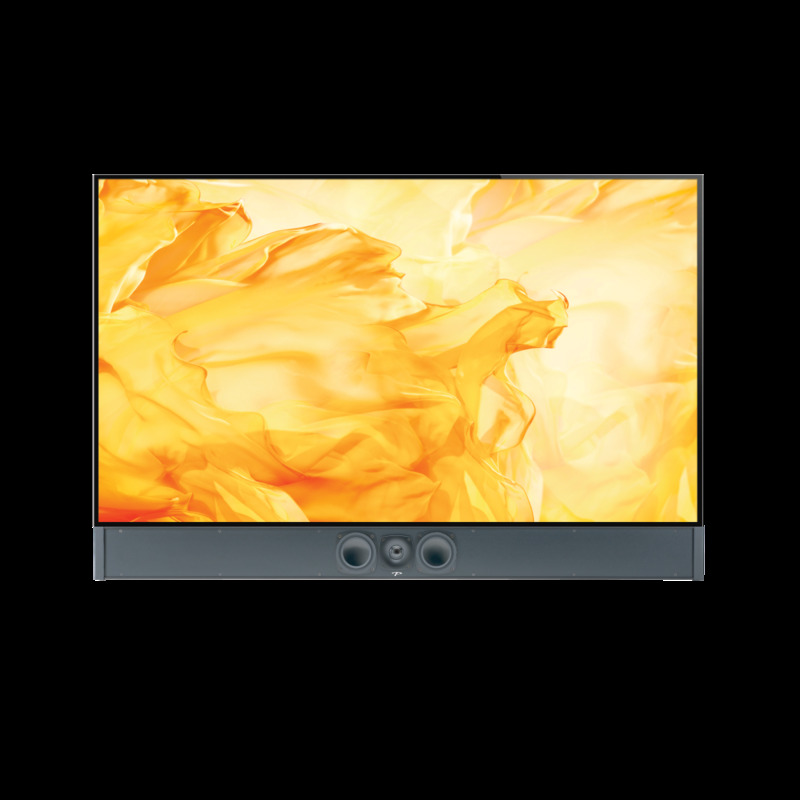 The Paradigm Décor Custom Collection gives you the flexibility to use any size television and match it with high-performance Paradigm home theater audio, without worrying about mismatched aesthetics or poorly blended sound. Paradigm is partnered with Canada’s world-renowned NRC in ongoing research to reveal the true nature of sound and human hearing. Findings influence design and performance specs, resulting in a uniquely realistic listening experience, backed by sound science. Paradigm provides additional products to enhance your experience. Choose from Anthem Room Correction (ARC®), Wireless modules for select subwoofers, square grilles for section in-ceiling models and much more.